The Zandona Shield Evo X3 Back Protector White is part of the latest Zandona collection. The back protector Shield Evo are manufactured 100% in Italy and designed to protect your back from collisions and to ensure a good lumbar support. Made from high-tech plastic materials that deform but not splinter and tires to system memory cells and low resilience to guarantee a high shock absorption. The plates are joined by a wire system which guarantees the impact distribution across the surface of the protection. The contact surface is in S.R.T. (Sweat Removing Textile - 3D breathable fabric that expels sweat. 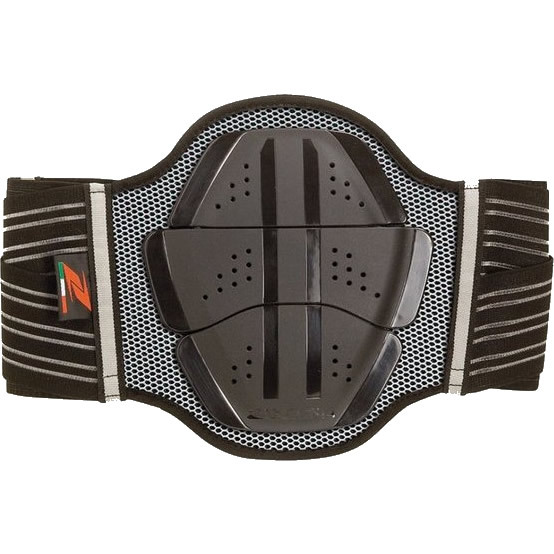 The back protector is comfortable because it follows and satisfies the natural movements of the spine and reaches the Level 1 performance according to standard EN1621-2 because it has been designed to offer the best possible comfort.